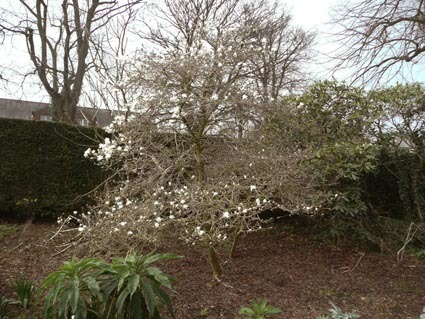 The Magnolia genus is a large and very ancient one with around 225 species divided into sections and sub-sections. 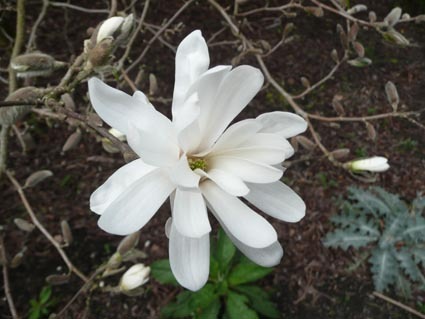 Magnolia stellata belongs to the Yulania section along with a number of other species important in horticulture (such as M. campbellii).The species is a native of Japan, growing in moist conditions on stream sides and boggy places at low altitude. It was introduced into the USA in 1860 and into the UK in 1877 or 1878. It grows to 2.5m and is often wide-spreading. 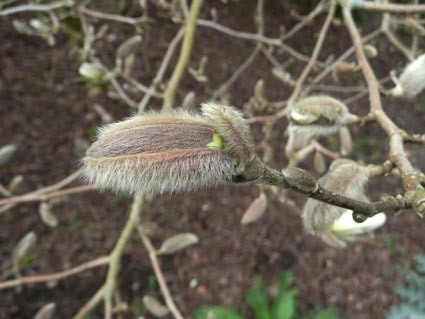 Its hardyness, small size and slow growth rate make it a popular choice for small gardens in the UK where it will usually flower at a young age. 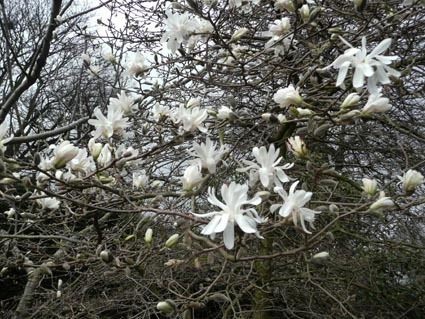 The dramatic white flowers are produced in early spring before the leaves open. The flower buds are covered in a silky down. In common with all magnolias, the flowers do not have distinct sepals and petals - the many perianth segments are called tepals.